It will soon be gone. The lovely old steel truss bridge that graces our river view will be obscured by the construction of our new re-enforced concrete structure this year. Much comment is already appearing in the media so we would like to revisit this subject. Our previous series on “Crossing the River” ran about a year ago, in which we presented the history of our river bridges. This bridge was built and opened in 1947, when peace time prosperity allowed replacement of the old iron truss bridge that collapsed in 1941. 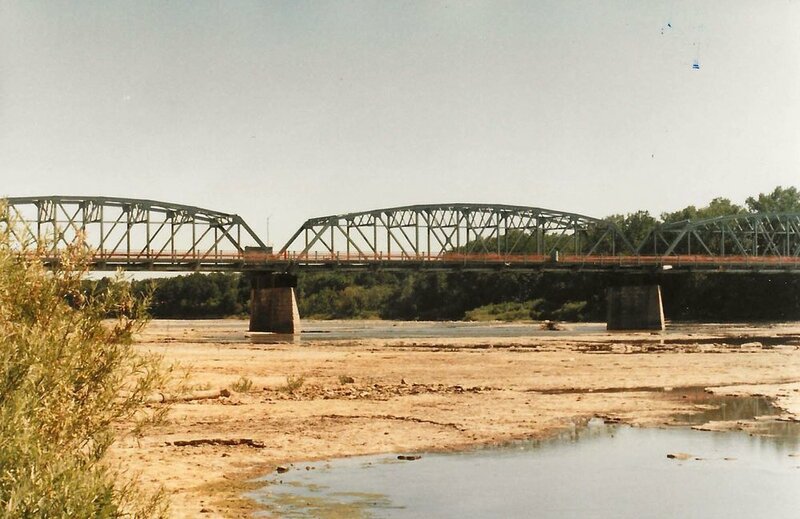 The bridge was built on the stone piers of the old wagon bridge which were widened and reinforced on the upstream side. Forty or so years later it was in bad shape and did not meet the demands of modern highway traffic. 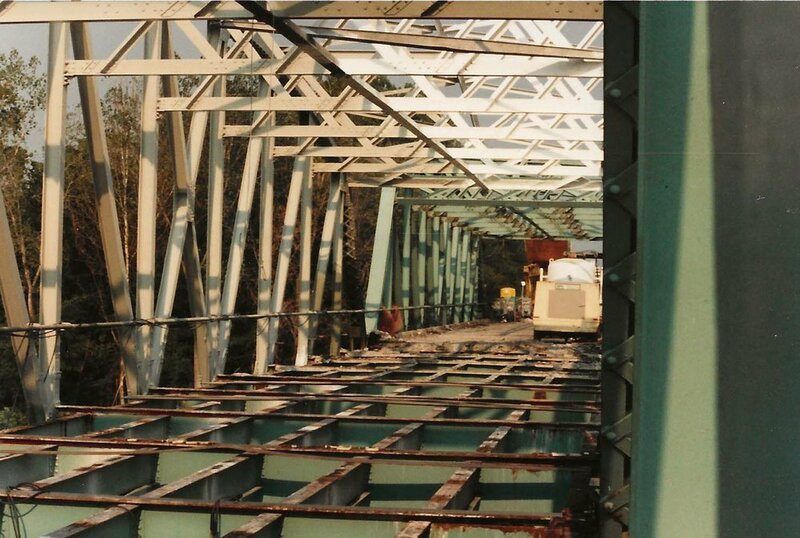 In 1988 the bridge was closed while a new and stronger deck was installed and the overhead clearance was increased to accommodate larger trucks and farm vehicles. This extensive re-build was captured on film by Emery Noward, whose photo album of this project can be found in the Wakeman Archives. The result of this work is our current bridge except that, like all steel bridges, it needed to be repainted from time-to-time. The color may have changed over the years but the structure remains the same. The current nearly white color makes a lovely picture against the skyline. Enjoy the view while it remains.